A quarterly bulletin facilitated by your membership of the Rural Services Network and produced in partnership with the Rural Housing Alliance, highlighting a selection of current rural housing issues and opportunities. 6,550 social rented homes were built in 2015/16. This is a drop of 88 per cent from 20 years ago when 56,950 were built in 1995/96. On average, private renters now pay 34 per cent of their total household income on rent and social and affordable renters pay 29 per cent. This rises to 51.5 per cent of incomes for private renters when deducting state financial support, and 41.7 per cent for social renters. In comparison, homeowners pay an average of 18 per cent of their total household income on their mortgage, and those that own outright have no housing costs. Average house prices are now at 7.9 times average earnings. The average size of a deposit needed to get a mortgage is 62 per cent of annual incomes, in London it is 131 per cent. You can read more on this analysis here. Rural landowners can play a crucial role in solving England's rural housing crisis, says a report. Under current policy, landowners can provide sites at below-market prices to build rural housing for local people in need. But recent legal and financial changes have made this increasingly difficult. A recent report by the Campaign to Protect Rural England has now set out ways to make it easier for landowners to offer their land for affordable housing. 'On Solid Ground', recommends changes to tax legislation and to councils' waiting list systems for social housing. Rural communities are particularly hard-hit by dwindling affordable housing stock, with just 8% of rural housing classed as affordable compared to 20% in urban areas. The high price of rural housing has seen youngsters priced out of the countryside, with services like post offices, pubs and shops closing as workers and potential customers are move elsewhere. CPRE policy adviser Trinley Walker said: "Landowners understand the pressures facing rural communities, and they are uniquely placed to help keep these towns and villages thriving. There is a clear appetite among landowners to help create affordable housing for local people, but the current system discourages them from doing so. Government must do more to address the lack of affordable housing in rural areas. Removing some of the obstacles preventing landowners from providing land is a straightforward way to get more houses built for those who need them." The paper proposes giving landowners power to ensure that their land will benefit people with local connections. Landowners would be more inclined to provide land for affordable housing if they had more confidence that this would directly benefit those in their local community. The paper also suggests changes to letting systems, many of which currently don't allow for prioritising local tenants. It also suggests measures that would see landowners paying reduced tax on profits from providing affordable housing, and being able to offset losses from these investments against other income. The report has been supported by the Country Land and Business Association, whose members provide nearly 40% of all private rented housing in rural areas, and can be accessed here. On 7th December, Cirencester Housing Limited hosted a public viewing of the drawings for a proposed development of affordable housing on a rural exception site in North Cerney. The event was well attended by representatives of the North Cerney Parish Council and Bagendon Parish Council as well as several residents from the surrounding communities. The new development of 10 affordable rent 1-bedroom flats and 2-bedroom homes, and 2 shared ownership 2-bedroom homes was well received and largely supported by the attendees. 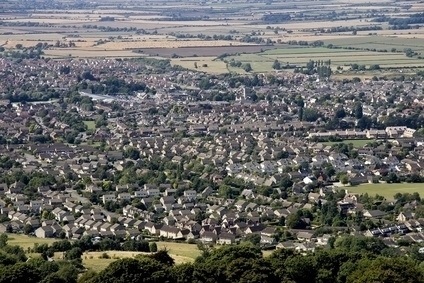 Just prior to the public event, Cirencester Housing were notified that Cotswold District Council had committed a capital grant of £469,000 from Section 106 Commuted sums to develop the new homes at North Cerney. For more information contact Maureen Margrie at Cirencester Housing. South Somerset District Council have recently revised their Rural Housing Action Plan. The Plan sets out the Council's approach to the provision of affordable housing in rural locations. On 27th April 2016, there were just over 2,000 households in South Somerset expressing a need for rehousing on the Housing Register, "but all the anecdotal evidence suggests that this under-represents the level of need in rural areas where many households do not register (as they have the perception that there is nothing to register for)." On 5 January, Communities Secretary Sajid Javid has today announced an 'unlocking' of £7 billion in what was described as "a dramatic expansion of the government's affordable housing programme to meet the diverse housing needs of the country." The announcement went on to state that: "Housing providers can now apply for a share of the fund, which was allocated an additional £1.4 billion at the Autumn Statement to deliver 40,000 new affordable housing starts across the country. "Alongside this extra funding, the government is expanding the existing affordable homes programme to offer a wider range of ways of helping people into home ownership and to provide support for those that need affordable housing. "By expanding the variety of tenures available, which now includes Affordable Rent, Shared Ownership and Rent to Buy, the programme will help meet the housing needs of a wider range of people in different circumstances and at different stages of their lives." Homes and Communities Agency (HCA) Chairman Sir Ed Lister said: "The expanded programme will also allow providers the flexibility and agility to respond to local needs and markets. This will boost housebuilding by encouraging providers to deliver a mix of homes for both affordable rent and low-cost ownership that is most suited to each place." English Rural Housing Association's new development of 10 affordable homes at Burstow Gardens, on the Surrey, Sussex border was officially opened in December by Cllr Liz Cutter past Chair of Burstow Parish Council and a key driving force behind the new homes. A mixture of 1, 2 and 3 bedroom properties for rent, the new homes were completed in completed in June this year after a build programme of 12 months. A legal agreement prohibits the homes from ever being bought or sold and prioritises the allocation of the homes to households with a connection through residence or employment with the Parish of Burstow. Funding for the £1.7 million scheme was provided by English Rural with contributions of £150,000 and £100,000 from the Homes and Communities Agency and Tandridge District Council respectively. The land was made available by Burstow Parish Council. The design draws on traditional materials found in the locality; plain clay tiles, brown bricks, black weatherboard combine with simple fenestration and landscaping scheme to create a high quality residential development. 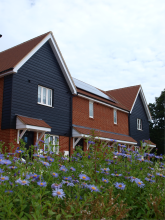 Through design features such as high levels of insulation, photo voltaic panels, generating electricity for residents, the dwellings achieved Level 4 of the Code for Sustainable Homes. Commenting on the success of the development Adrian Maunders, Chief Executive of English Rural, said: "The ten new homes in Burstow are an example of what can be achieved if local partners work together to tackle the affordable housing crisis affecting our villages." Ray Holdsworth, Chairman of Burstow Parish Council said: "For Burstow Parish Council, it's all about making a difference and these new quality homes do just that for 10 local households". For more information please contact Karen Eagles at English Rural. The National Housing Federation and the five housing associations that took part in the original Voluntary Right To Buy (VRTB) pilot jointly commissioned research to ensure that the pilot scheme, which started in January 2016, was analysed and findings shared with the sector. Conducted by the Centre for Regional Economic and Social Research (CRESR), the research focuses on providing useful lessons from an independent standpoint, and covers: the design of the pilot; the delivery of the pilot; tenant experiences; the level of demand; profiling of tenants and stock. • The need for clarity over the reasons for excluding certain types of property from the programme. • The risk of too much variation in practice between one association and another in areas where there is territorial overlap between their properties. • The need to manage the queue of applicants according to very clear timetable. This management of applicants will be particularly important given the level of interest and pro-active engagement from tenants. • The need to review systems for fraud protection and investigation, in the light of the high values involved in the VRTB scheme. You can read the full report and a summary report by following this link. For many living in rural communities, it can be significantly harder to access specialist domestic abuse services. Isolation can trap victims anywhere, but in rural areas, the social isolation can be compounded by geographical isolation and the perpetrator can be protected by the small size of the community. There is often an assumption that domestic abuse is an inner-city problem, confined to lower socio-economic or ethnic minority groups. And a victim can feel very vulnerable seeking confidential support from their neighbours, the local police, or the family doctor. Victims may be reliant upon public transport which is not always reliable and on time. For those who have access to a car the abusive partner may control the use of this limiting petrol money, monitoring mileage and demanding explanations of where they have travelled to or from. Where there is outreach or community based support available this in itself can be difficult for a domestic abuse victim. The sight of an unknown vehicle parked outside the house or a support worker entering the home can cause gossip and speculation. Where police officers are embedded in close-knit communities, as in rural areas, domestic abuse victims can feel that they would be more likely to take the side of a perpetrator they know socially, although in some cases, intimate knowledge of the local community can help a police force dedicated to eliminating domestic abuse. Our Shropshire Domestic Abuse Service aims to break down the barriers faced by victims and to work alongside other agencies to ensure all victims have a place of safety they can access easily and quickly when needed and help to find the support they need. We currently run a female only 10 bed refuge and, from April 2017, will introduce a range of dispersed properties across the County offering safe shared accommodation. The accommodation will be supported by specialist domestic abuse workers and will be accessible to all victims and their children who need to flee domestic abuse. We will work in local communities; urban and rural, across Shropshire to educate local people on the dynamics of domestic abuse so they are able to support their neighbours, colleagues and friends in a safe, positive and proactive way. 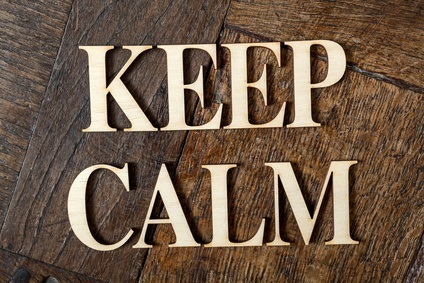 We will also offer face to face emotional and practical advice, guidance and support. By being based in Housing Offices, Council buildings, Churches, Sure Start Centres, GPs and other hubs that local people access regularly, victims will not stand out when accessing our service. Our aim is to help ALL VICTIMS live a life free from abuse, hold perpetrators to account, safeguard adults and children and empower all to reach their full potential. This is a question posed in a recent House of Commons briefing paper. This paper considers how affordable housing is defined in England and looks at key trends in the affordability of different tenure types. It also examines the supply of affordable housing and the role of Housing Benefit in enabling households to access and retain affordable housing. The paper states: "The need for subsidised housing provision has long been recognised. The cost of private sector housing that meets acceptable standards, compared with the level and distribution of incomes and assets, means that significant numbers of households lack the resources to make a demand for decent housing effective in the market. Without subsidised housing, these households can fail to obtain housing of a decent standard. "Historically, homes for social rent (with rents set at around 50% of market rents) and affordable home ownership have been the main source of new affordable housing. However, the introduction in 2011 of social sector development with rents of up to 80% of market rents has, according to some, undermined the ability of even the social sector to supply housing that is truly affordable." Just before Christmas, Housing Minister Gavin Barwell announced that: "Community-led housing will be given a further boost today (23 December 2016) from a new annual £60 million fund which will help almost 150 councils tackle the problem of high levels of second homeownership in their communities. The Community Housing Fund will put local groups in the driving seat and help them deliver affordable housing aimed at first-time buyers in response to the problem second homes can cause in reducing supply. One third of the funding - almost £20 million - will be allocated directly to local authorities in the South West as this is the most popular region for second homes in England. It accounts for 21% of all second homeownership." 148 local authorities have been allocated funds ranging from £6000 to £5 million. The first year of funding is intended be used to build capacity within local groups such as improving technical skills, setting up support hubs to offer advice, business planning and providing staff to review local housing needs. Funding the following year must then be used to deliver housing on the ground for local people. Local authorities are tasked to work closely with community-led housing groups and other stakeholders - such as the Community Land Trusts network or the Home and Communities Agency - throughout to ensure the right tools are in place to ensure efficient delivery of new houses in subsequent years. You can read more via this link. The Local Government Association (LGA) has published a new workbook designed as a learning aid for elected members in relation to the key skills, approaches and tactics involved in neighbourhood and community engagement. The LGA say: "Neighbourhood and community engagement has a rightful place as one of the key processes involved in planning and decision making. As such, it should not be viewed as an additional task, but as a core part of the business of local government." You can access the document via this link. • To speed up the delivery of new homes, in particular by reducing the time it takes to get from planning permission being granted to building work happening on site and new homes being delivered. You can access a copy of this briefing via this link. At the very end of December 2016 the House of Commons library published a useful briefing paper which summarises the funding received by the UK from EU institutions and considers the implications of Brexit on the EU as a source of funding for regional development, agriculture support, research and innovation and other areas. If you are confused by the various funds and abbreviations used – ESIF, ERDF, ESF, EAGF, CAP, EIB to name but a few – this paper will be worth a read. The paper also summarises the current situation with regard to post Brexit funding. You can access the paper here. The Chartered Institute of Housing and RSN aim to work in partnership to deliver more support for our members working in rural housing delivery and management. Our first joint survey of members highlighted again the great difference that local people can make in the ability to deliver more rural housing. As a response to that, we developed a short focused guide with top tips and help for professionals on how to work effectively with rural communities. This is available by following this link. Watch this space for more information on further joint working with CIH. • Always respond positively to the local community. A copy of the Pledge can be viewed by following this link. The Rural Services APPG supported by RSN provides an excellent opportunity to put issues of the moment in front of MPs in the heart of Westminster and to seek to influence national debate. In October 2014 the APPG focused solely on rural housing – specifically the importance of section 106 sites and local connection criteria. A further session of the APPG in November last year looked at shared ownership in rural communities. If you have any views on key topics which should be covered in future APPGs please contact Andy Dean. If you know a rural housing organisation that would benefit from membership, please ask them to consider joining us. RSN is a solely rural focussed organisation with an electronic distribution network in excess of 40,000 individuals. We reach right across all the rural areas of England and provide a sustained and respected voice for rural areas at national level. Anyone who wants to talk to us about our role and services in relation to rural housing should contact Andy Dean to find out more. If you are a small housing organisation operating in rural England, you can have access to all the services of RSN for an annual subscription of just £250 plus VAT. RSN exists to share information, promote good practice and represent the voice of rural England at a national level. Check out the website for more information or contact Andy Dean to join up. 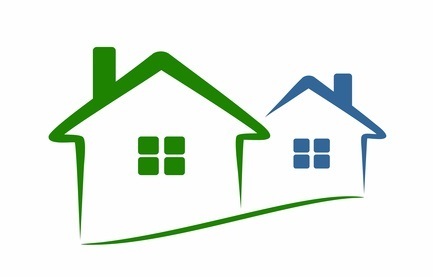 For analysis and comment on key rural housing issues, click here. For an archive of the quarterly Rural Housing Spotlight newsletters which provides a medium for members to channel their concerns, highlight good practice and share thoughts on housing issues in their rural communities click here. We have developed a ‘hot topic’ section of our website, which provides a gathering of all rural housing information and displays it all in one place. This area provides the latest updates in our Rural Housing Service, our latest housing news articles, housing opinions - which includes case studies and best practice and housing in depth - including latest housing analysis we have produced.